Bill Belichick's latest trade acquisition, who comes over from the Chicago Bears, is a little eccentric. By Alex Reimer·	 3/17/2016, 1:46 p.m. Tight end Martellus Bennett has a chance to be the most explosive complement to Rob Gronkowski since Aaron Hernandez. He also might be the most peculiar, if not downright weird, personality who’s ever put on a Patriots uniform. But he’s pretty funny, too. 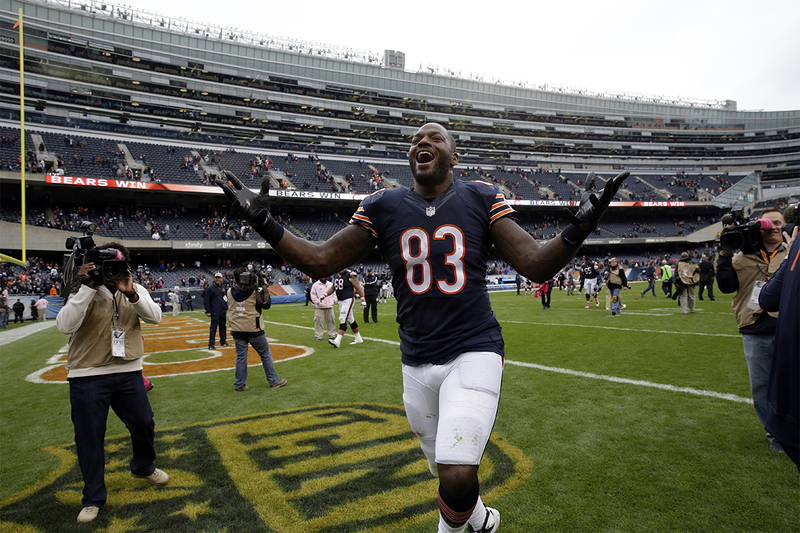 The Patriots acquired Bennett from the Chicago Bears Wednesday in exchange for a fourth-round draft pick. Though the 6-foot-7, 248-pound behemoth is just two years removed from a 90-catch season, the Bears reportedly couldn’t wait to get rid of him. That’s what happens when you body-slam a rookie during practice, hold out from your contract, and complain about your role in the offense. In that sense, this is a classic example of the Patriots buying low. Bennett, 29, is entering a contract year. There’s no better place for him to resurrect his career in hopes of a big payday than playing alongside Tom Brady in Foxborough. Hi Tom I'm Marty. Let's do this. From Corey Dillon to Randy Moss, the Patriots have a history of milking great seasons out of mercurial personalities who burned their bridges elsewhere. Given Bill Belichick’s fondness for the two tight end offense, Bennett will probably have every opportunity to join that list. But what makes Bennett unique is the noise he’s likely to generate off the field. It’s not every day a self-proclaimed black unicorn with 287 tattoos (many of which he designed) steps inside Patriot Place. Bennett also has a penchant for challenging the game’s social mores. While he was playing for the Bears, Bennett lambasted the franchise’s obsession with its storied past. When Bennett’s football career is over, he seems like he might be interested in turning to the arts on a full-time basis. He once produced his own animated film titled, Zoovie: A Warm and Fuzzy Tale, which is about a penguin named Cosmo. He’s also aiming to self-publish his children’s book series, Hey A.J. !, at some point this year, and is a big Tim Burton fan. Bennett’s eccentricities don’t come without controversy. He once starred in a YouTube video titled Black Olympics, in which he competed with his brother to see who could eat fried chicken and watermelon more quickly while washing it all down with some Kool-Aid. A scorned ex-lover also once leaked naked pictures of him online. If Bennett plays to his potential, his on-field performance will produce plenty of headlines. But following him away from the gridiron may wind up being even more entertaining.